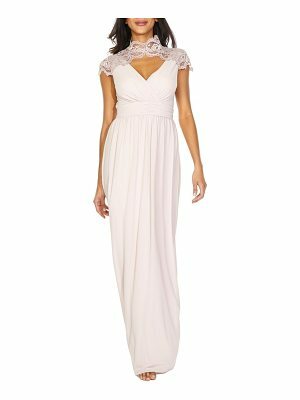 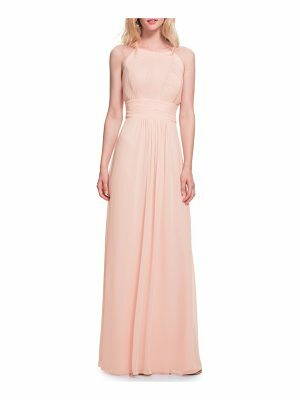 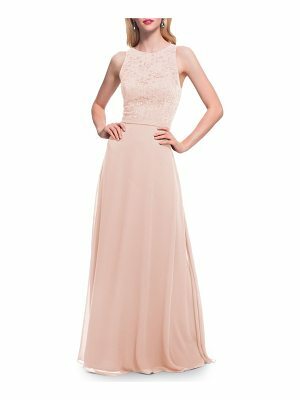 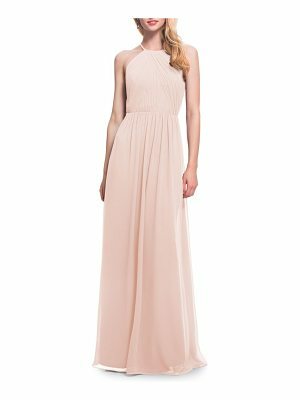 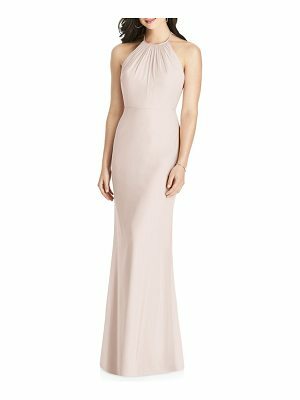 Meticulous pleating that gathers to the center creates soft, flattering lines in a Grecian-goddess gown of floaty chiffon. 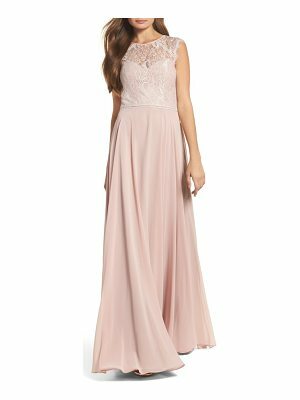 The rear view is just as pretty with floral lace wrapping the back bodice. 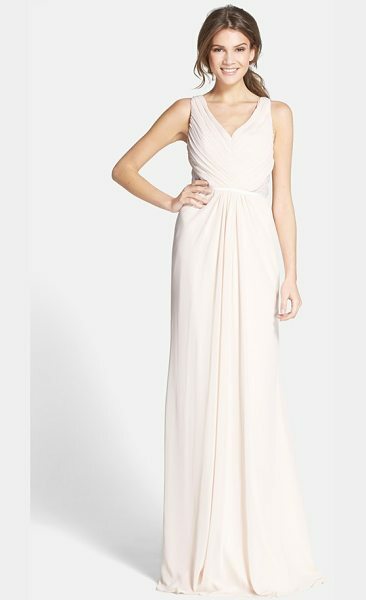 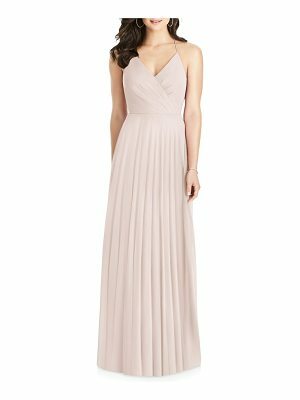 The timeless A-line style is finished with a satin ribbon defining the fitted waist.